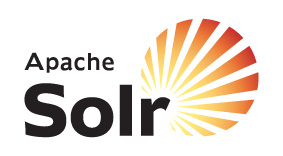 Published on July 3, 2012 Jeevanandam M.
The Lucene PMC announced the Apache Solr 4.0-alpha release today! The largest set of features goes by the development code-name “Solr Cloud” and involves bringing easy scalability to Solr. Pivot Faceting – Multi-level or hierarchical faceting where the top constraints for one field are found for each top constraint of a different field. Pseudo-fields – The ability to alias fields, or to add metadata along with returned documents, such as function query values and results of spatial distance calculations. A spell checker implementation that can work directly from the main index instead of creating a sidecar index. Pseudo-Join functionality – The ability to select a set of documents based on their relationship to a second set of documents. Function query enhancements including conditional function queries and relevancy functions. New update processors to facilitate modifying documents prior to indexing. A brand new web admin interface, including support for SolrCloud. Solr 4.0-alpha is an alpha release for early adopters. The guarantee for this alpha release is that the index format will be the 4.0 index format, supported through the 5.x series of Lucene/Solr, unless there is a critical bug (e.g. that would cause index corruption) that would prevent this.